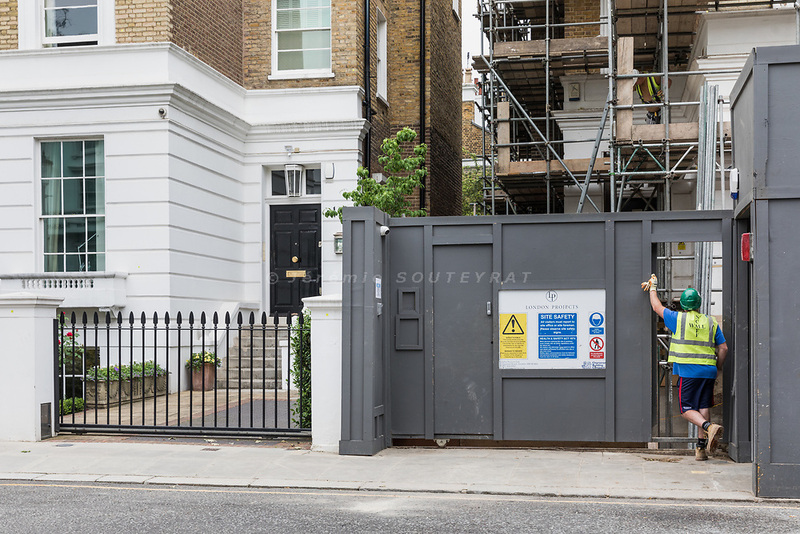 London, England, UK, June 5 2018 - Construction work in houses of Tregunter Road in the Chelsea area, one of the richest residential neighborhood in London. Due to strict regulations on the height of the buildings and high cost of housing, honeowners burrow down to build or extend basements. Even though the Royal Borough of Kensington and Chelsea have restricted the digging to one floor underground, they allow to dig as low as 17meters under the ground level and create split "levels". Tregunter Road is the street with the highest permit in Chelsea for basement digging.